Neuroscience has been gaining great traction at an incredible pace, allowing us to delve into the depths of consumer psychology, and learn from metrics that have never been used before, so that we can create better brands, services, products and experiences. Our guest speaker at the recent Honey Buzz event, Thom Noble, founded Neurostrata with the purpose of helping clients navigate Neuro-metric, Bio-sensory and Implicit techniques and commercially apply these neurological and emotionally-derived insights to improve brand, service and experiential performance. Should you be using it? How should you be using it? Why should you be using it? Approximately 10% of what we think and feel is conscious. Everything else happens beneath the surface, yet Noble emphasises that “it’s so important in shaping perception and driving behaviour”. So why is the unconscious so important? Well, we process around 11 million bits of information per second, yet only a tiny fraction is processed consciously. And a major part of what is unconscious is emotional. It’s almost impossible to measure emotions by asking someone what they’re feeling, because the more you ask, the more those feelings change. Of course, as Noble points out, “you can’t guarantee that you’re going to learn something from this stuff, but you’re far more likely to if you’re measuring the 90% that you haven’t touched before”. The quicker something comes to mind, the more prominently and deeply associated it is. This is why psychometrics, i.e. the ability to connect one thing with another, is so powerful. The way we remember brands, relationships, favourite holiday destinations is, as Noble describes, a “galaxy of associations, all connected to each other, some very closely connected, some burning very brightly, some rippling away in the distance”. Our job as marketers is to reform, reshape and augment these associations. One of the new tools at our disposal is visual saliency. When we’re processing visual stimuli, there’s a hierarchy of what we see first, and visual scientists have harboured this. We can now load up a pack and identify which elements are most important – brand name, variant name, the illustration and so on. Understanding how a product stands out both in isolation and in context is very important. It’s the first rule of marketing – to get noticed. Greg Vallance, Honey Executive Creative Director, observed how important this information is in practice, “from a design perspective, we’re always talking about less information … I think it’s great to have it validated from a neuroscientific point of view. Many of us would buy into the concept but would find it hard to resist adding that extra message on to a pack”. 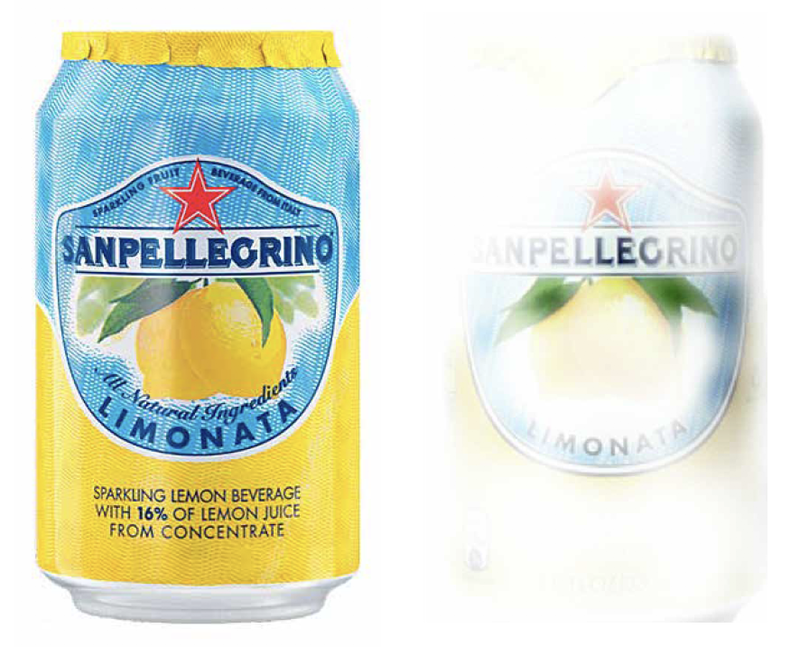 Visual saliency shown through ghosting. 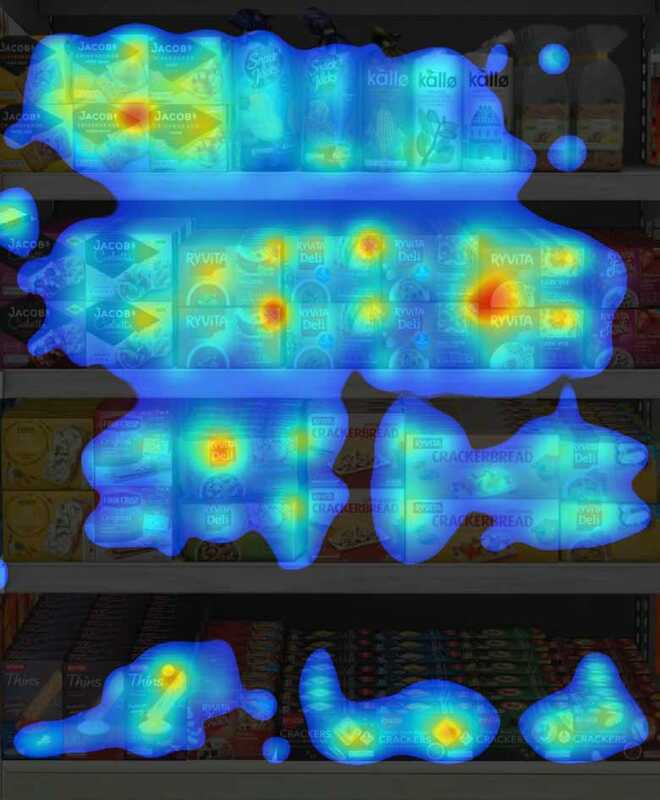 Visual saliency shown on a store shelf. The ability to implicitly measure associations could be the most revolutionary thing about neuro-marketing. Measuring the speed and strength of a response means we can measure lots of things, whether its visual identity, experiential, shelf layouts, pack design or flavours. If an initial impression is positive, then there is an approach reaction and everything that follows is filtered through a positive prism. How emotionally attractive and engaging a design is can be measured by an emotional attraction score. David Godber, the managing partner of The Argenti Group, reflected on this. “History shows us there are three types of communication that travel fast and effectively. These are good news, bad news and humour. They have a tendency to ignore communication ‘norms’ and cut-through to an audience very effectively. I wonder if we looked at design through these three lenses what the outcomes would be?”. Traditional testing is rational, logical and number driven. Three adjectives that aren’t a natural part of a creative’s thinking. But these new techniques are about intuition, responses and instincts – something creatives can identify with. Simon Bailey, a Honey Buzz guest, eagerly sees this “as a fantastic opportunity to produce and get more interesting work into the public domain”. Join us at one of our events for further discussion and debates on a variety of topics. Honey On Toast is an informal breakfast event based around a conversation with of three experts, led by a compere from Honey, sharing their stories and knowledge around business trends and insights. On the contrary, HoneyBuzz started in 2015 as an opportunity to generate lively debate between industry leaders championing change and innovation in their work. Dinner is provided.